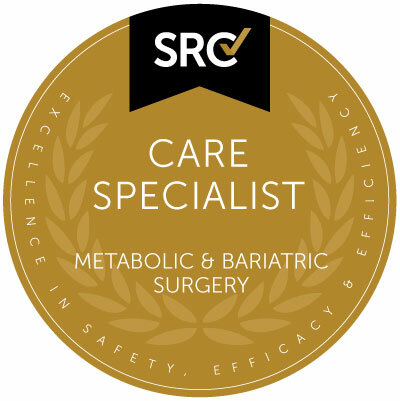 The Bariatric Care Specialist (BCS) accreditation is available to allied health professionals (including but not limited to dieticians, nurses, nutritionists, medical doctors, occupational therapists, physical therapists, psychiatrists and psychologists) who primarily treat bariatric patients and have been nominated by an SRC site inspector or a surgeon accredited in bariatric surgery. The program participant is committed to excellence in the care of bariatric surgery patients. The participant will complete periodic continuing medical education courses related to bariatric surgery. Successful completion of at least one SRC Education course every three years or similar accredited third-party education is required. The participant spends a significant portion of their efforts treating the morbidly obese and/or patients who have received weight loss surgery. At least one year of experience treating bariatric surgery patients is required. The program participant must have appropriate licensure in their field of expertise. The participant is sponsored by a bariatric surgeon who maintains designation as Center of Excellence and/or Surgeon of Excellence in Metabolic and Bariatric surgery. The endorsing surgeon does not have to be accredited by SRC. The participant provides education for weight loss surgery candidates as well as those who receive the surgery. This education can be provided in addition to or in conjunction with the sponsoring surgeon or the patients’ other weight loss surgery providers. Application fees must be paid prior to application submission. Provisional status is granted after applications are submitted. Additional charges may apply for virtual inspection. If the virtual inspection concludes that an on-site inspection is required, an on-site inspection fee will be charged. Annual participation fees are billed one year after applicants achieve provisional status and each year thereafter. Renewal inspections will occur every three years after the initial site inspection. Fees are subject to change without notice and are not refundable. Payment of required fees does not guarantee that you will achieve designation.